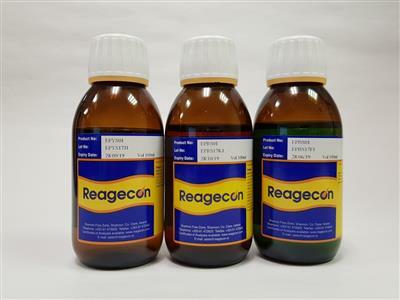 Reagecon's Blue Primary Colour Solution is formulated as a reference solution for the examination of the degree of colouration of liquids in accordance with the European Pharmacopoeia Chapter 2. 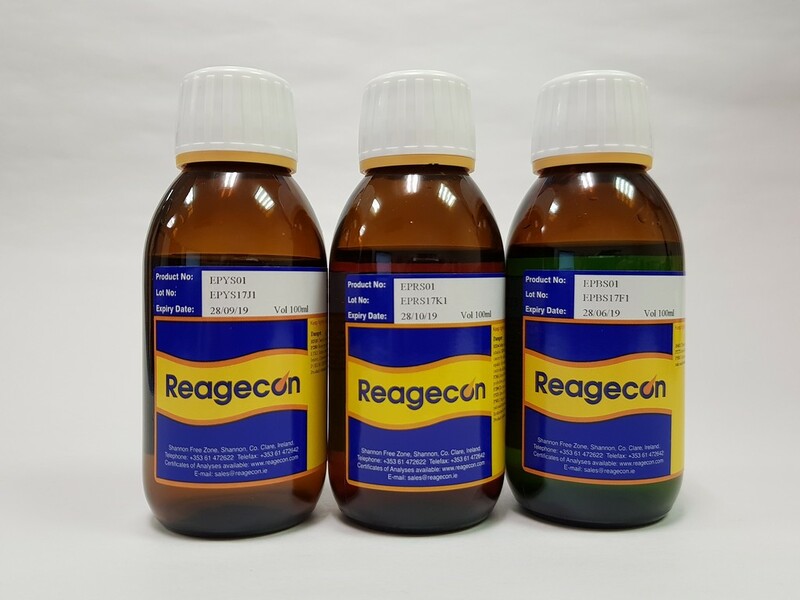 The solution may be used as a Primary Colour Solution on its own or as a Standard Colour Solution if used in combination with other Primary Colour Solutions. This Primary Colour Solution is a ready to use coloration standard presented in high quality, tamper evident bottles for use as a calibration and/or quality control standard. It is prepared with Copper Sulphate, Hydrochloric Acid and Water.